Technology Association of Georgia’s quarterly magazine honors Georgia-based automotive entrepreneur for contributions to the state’s growing electric vehicle industry. 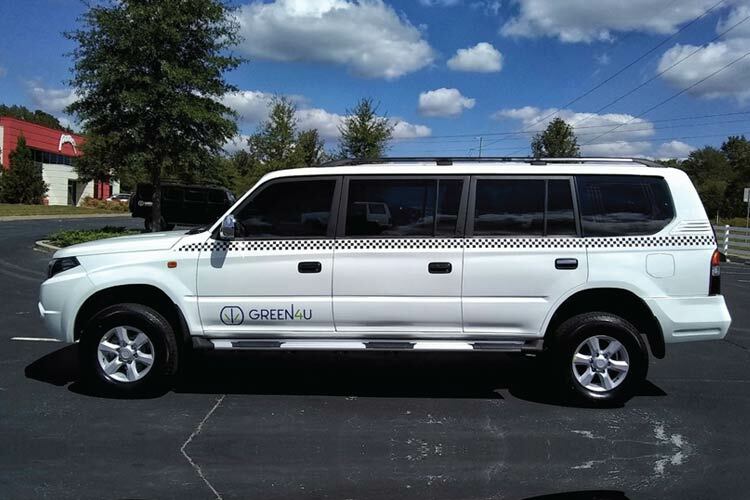 Don Panoz, chairman and co-founder of Braselton, Ga.-based Green4U Technologies, Inc., is on a fast track to develop and build a lineup of electric vehicles (EVs) in Georgia. Green4U’s focus to electrify the fleet transportation industry has earned him a spot on the Technology Association of Georgia’s (TAG) Hub Magazine Transportation Technology Game Changers list. 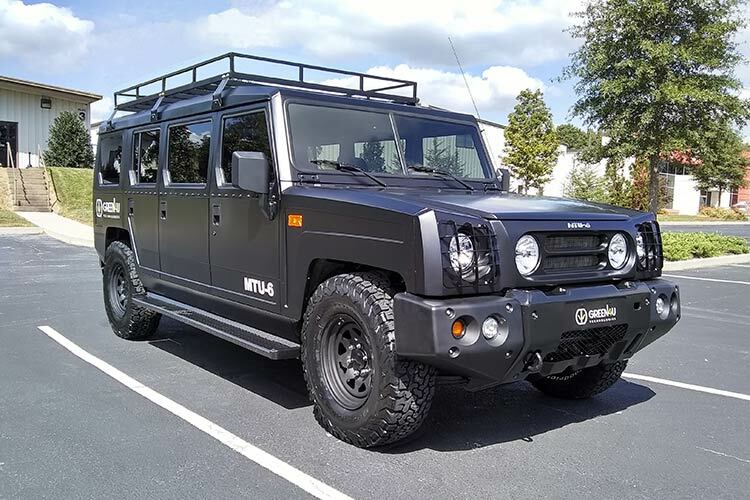 Along with Green4U CEO and Co-Founder Jack Perkowski, Panoz plans to market a range of Georgia-manufactured EVs primarily for business use but also suitable for consumers. The Green4U EV lineup ranges from low-speed neighborhood electric vehicles and SUVs to medium and large commercial vehicles like buses. The Game Changers list, which appears in Hub Magazine’s Transportation Technology issue, identifies the innovators who are leading in the industry. TAG representatives unveiled the Transportation Technology issue cover at the organization’s TIC TEC KNO event held at the Georgia Public Broadcasting (GPB) studios in downtown Atlanta. Perkowski also contributed an article to Hub Magazine’s Transportation Technology issue (“Innovation in the Transportation Sector: A Georgia-Based Company Leads the Way,” pg. 19). Panoz and Perkowski founded Green4U Technologies, Inc. in 2016/2017 to provide EVs and EV technologies. Both co-founders recognized the growing demand among businesses, organizations and individual consumers for electric vehicles, and those audiences’ desire for cleaner vehicles with lower total cost of ownership. EVs generally cost less to operate on an annual basis than internal combustion engine vehicles. Companies, municipalities, universities, and organizations with expansive facilities that operate fleets see the potential savings offered by an EV’s lower total cost of ownership. But instead of one or two EV models, Green4U will offer a diverse EV product line. Panoz added that through the existing Panoz and DeltaWing Manufacturing organizations – now part of Green4U Technologies, Inc. – and the wholly separate Élan Motorsports Technologies, there are three decades of design, engineering, fabrication and manufacturing experience that helps Green4U fast-track vehicle development. Surge NEVs – More Car, Less Cart. 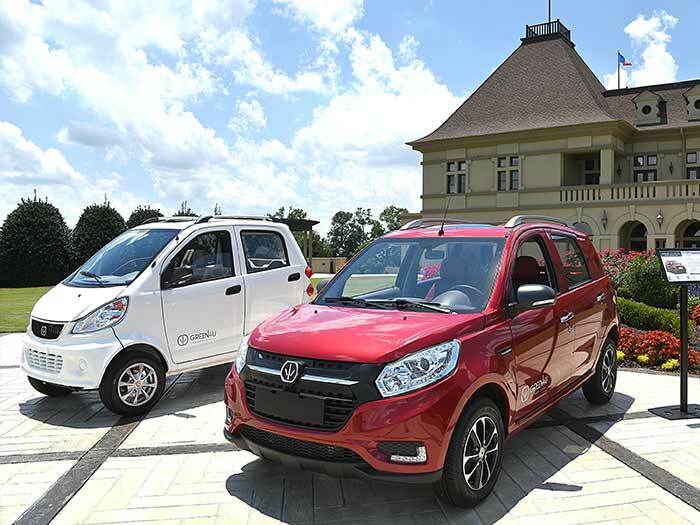 Green4U’s first vehicles are its Surge model line of low-speed neighborhood electric vehicles (NEVs) that Panoz and Perkowski believe are superior to golf carts as an EV transportation option in gated communities and on corporate and educational campuses. A golf cart’s open-to-the-elements design is suitable for golf, but sometimes comes up short on comfort, security, and weather protection. Surge NEVs provide all-electric, car-like comfort, and features like locking doors, functional windows, audio systems, and climate control are standard, not extra-cost options like with golf carts. Think “More Car, Less Cart.” Green4U will offer five Surge models: the Surge M, Surge C, Surge, Surge S and the utility oriented Surge UT. Official pricing has not been released, but pricing is comparable to and in most cases less than currently available and similarly equipped golf carts and NEVs. To learn more about Surge NEVs and inquire about pre-orders, please check here for more information or email Sales@Green4U.com. 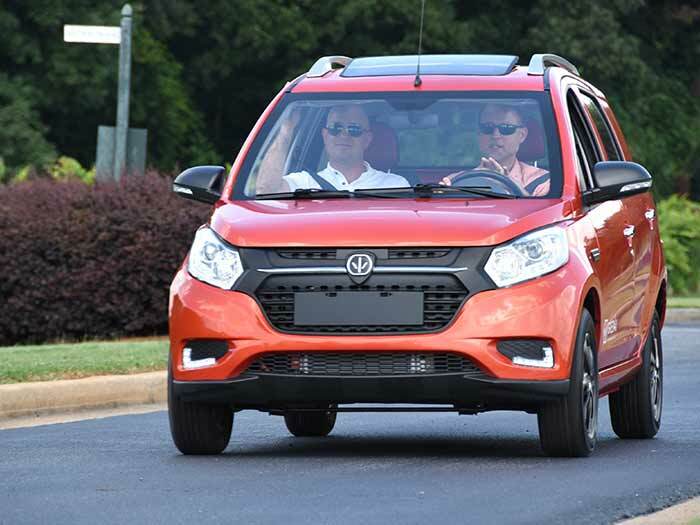 In addition to Green4U’s Surge NEVs, the company recently revealed two all-electric SUVs, the heavy duty MTU-6 SUV and the Enova SUV. Both feature six doors to provide easy access to each SUV’s second- and third-row seats. Each will share an in-house designed modular aluminum chassis and will be produced in Georgia. This chassis design also will serve as the underpinnings for many of Green4U’s future all-electric vehicles, including an eight-door version of the Enova SUV.